Sometimes the original is better than what came later. Charlie & the Chocolate Factory wasn't better than Willy Wonka & the Chocolate Factory. Ecto Cooler wasn't an improvement on original Hi-C flavors. (Or maybe it was.) And the original Nokia 3310 ("the brick" to many enthusiasts) can't be beaten by your fancy smartphones with its bells and its whistles. Nokia, who released the 3310 in 2000, is getting back into the phone game and going retro is a part of the plan, according to a report in Venture Beat. They're bringing back a 3310 homage, allowing holdouts -- they exist -- to upgrade their old, nearly indestructible phone for something that's basically the same. Nokia is about to showcase four new phones. "Perhaps the most interesting of these devices, at least from the perspective of mobile enthusiasts, is not a smartphone at all, but a modern version of a classic workhorse of a feature phone, the Nokia 3310," wrote Evan Blass at Venture Beat. "Known primarily for its plentiful battery life and nearly indestructible build, the 3310 was released at the turn of the millennium as a replacement to the also-popular 3210." The 3310 homage is expected to retail for about $62 and people are already getting excited about it. Fantastic advances in technology aren't always a good thing and this phone, well, it just makes calls and texts. None of this "Fruit Ninja" and work emails nonsense. HMD Global Oy, the Finnish company that owns the rights to Nokia phones, will unveil all the new devices on February 26 in Barcelona. They'll be targeting Europe with the launch. Distribution plans for North America aren't yet clear. Dustin Nelson is a News Writer with Thrillist. 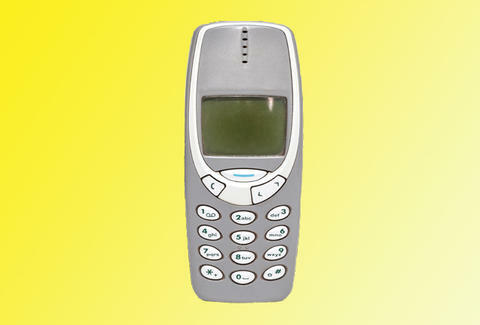 He remembers the 3310. Follow him @dlukenelson.